WASHINGTON – Cabinet secretaries, top congressional leaders and an exclusive group of senior U.S. officials are exempt from toughened new airport screening procedures when they fly commercially with government-approved federal security details. Aviation security officials would not name those who can skip the controversial screening, but other officials said those VIPs range from top officials like Treasury Secretary Timothy Geithner and FBI Director Robert Mueller to congressional leaders like incoming House Speaker John Boehner, R-Ohio, who avoided security before a recent flight from Washington’s Reagan National Airport. On Friday, the TSA exempted pilots from the new procedures; flight attendants received the same privilege on Tuesday, TSA spokesman Nicholas Kimball confirmed. Both groups must show photo ID and go through metal detectors. If that sets off an alarm, they may still get a pat-down in some cases, he said. The rules apply to pilots and flight attendants in uniform when they’re traveling. 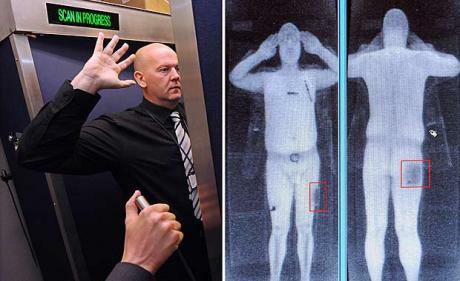 While passengers have no choice but to submit to either the detector or what some complain is an intrusive pat-down, some senior government officials can opt out if they fly accompanied by government security guards approved by the TSA. “Government officials traveling with federal law enforcement security details are screened at airports under a specialized screening protocol, which includes identity verification,” Kimball said. This allows the officials to skip the airport security checkpoints. The TSA would not explain why it makes these exceptions. But many of the exempted government officials have gone through several levels of security clearances, including FBI background checks. Armed security details eliminate the need for an additional layer of security at airports. Some members of President Barack Obama’s Cabinet, including Defense Secretary Robert Gates, Secretary of State Hillary Rodham Clinton, Attorney General Eric Holder and Homeland Security Secretary Janet Napolitano, travel almost exclusively on government or military planes. Top officials like Geithner, Mueller and Senate Majority Leader Harry Reid travel with security details and skip airport checkpoints, aides said. The second-ranking Senate Democrat, Sen. Richard Durbin of Illinois, and the House Democratic whip, Rep. James Clyburn of South Carolina, also have security, but they typically undergo regular screening with other passengers, aides said. Spokesmen for both Boehner and current House Speaker Nancy Pelosi, D-Calif., would not discuss security arrangements. But under a policy started by the Bush administration after the Sept. 11, 2001, terrorist attacks, a military aircraft is made available to the speaker, third in line to the presidency, for all official flight needs. Spokesmen for Senate Republican leader Mitch McConnell of Kentucky, incoming House Majority Leader Eric Cantor of Virginia and outgoing House Majority Leader Steny Hoyer of Maryland said they fly commercial, but would not detail security arrangements. The TSA’s administrator, John Pistole, is treated like any other traveler when he flies, waiting in security lines and walking through X-ray machines, including the full-body imagers, his spokesman said. Senior White House officials David Axelrod, Valerie Jarrett and John Brennan, the president’s homeland security adviser, do the same, officials said. Associated Press writers Laurie Kellman, Martin Crutsinger, Pete Yost and Larry Margasak contributed to this report. The system is inverted Congress works for the people not the other way around. TSA lacking jurisdiction at the airport creates a 9th and 10th amendment issue. This also creates two classes of people and violates equal protection. If all were subjected to the radiation and degrading treatment, this would end very soon.